Ever since The Avengers came out in 2012, the Marvel Cinematic Universe has been teasing Thanos as its overarching threat. So far we have yet to see him in action, but when Marvel announced Avengers: Infinity War Part 1 and Part 2 as part of their Phase Three slate in late 2014, the countdown officially began for when the MCU heroes will finally battle the Mad Titan. Because of the titles, fans have assumed that these movies will have a connected narrative, but according to directors Joe and Anthony Russo, that isn’t the case, as these MCU entries will soon be retitled. The intention is we will change it, we just haven’t come up with the titles yet. But, yes, we will change it. So rather than Avengers: Infinity War being one gigantic story being told across two movies, they’re actually two different "entities" that are simply coming out a year apart. It’s hard to discern that when they’re called Part 1 and Part 2, but like the Russo brothers said, that’s why they’ll be retitled in the near future. 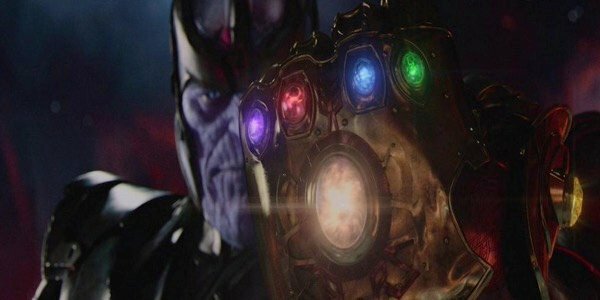 That said, because both movies will involve Thanos, they’ll certainly have a closer connection than the previous two Avengers movies had with each other. Obviously "Avengers" will need to be kept in the titles so that folks not familiar with the comics will know that they’re connected to The Avengers and Avengers: Age of Ultron. so the big question is what their subtitles will be. Since the second movie will be the final entry in Phase Three (thanks to Inhumans being pulled off the schedule), I wouldn’t be surprised if it kept Infinity War. This is when the heroes will face Thanos with not just his own powers, but harnessing the Infinity Stones. If not Infinity War, maybe they’ll make up something involving Thanos. Thanos’ Revenge? That leaves the first movie, which, if I had to guess, could be called Infinity Gauntlet, just like the early ‘90s miniseries. At the end of Avengers: Age of Ultron, Thanos finally grew fed up with his minions failing him and after grabbing an Infinity Gauntlet from his vault, decided to hunt for the Infinity Stones himself. Perhaps the third Avengers movie will either collecting all six of them or having already found a few earlier in Phase Three and coming to Earth to steal the remaining ones. By the second movie, he’ll wield all six, leaving the MCU heroes desperate to defeat a being who’s nearly invincible. We’ll have to wait and see what the new Avengers: Infinity War titles will end up being, but for now, Part 1 hits theaters on May 4, 2018, and Part 2 will follow on May 3, 2019.